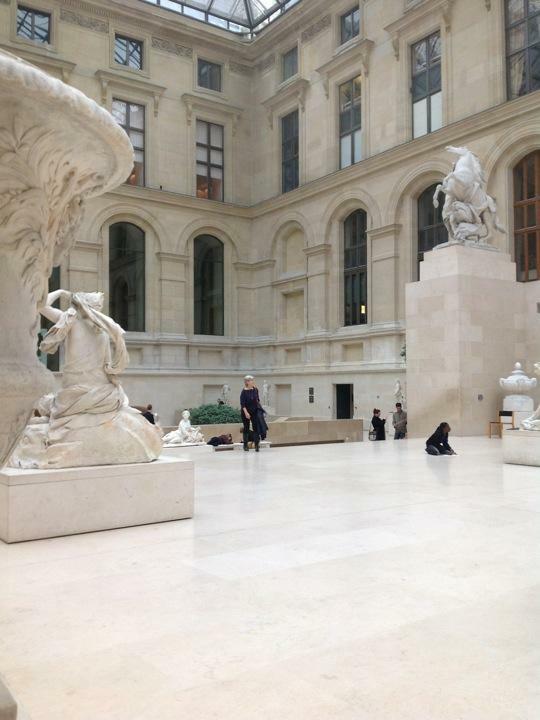 We went to the Louvre Museum today. It is one of the largest museums in the world. I think you could spend days walking around in the building and not see everything. The building used to be a palace for kings and Napoleon. Some of the most famous paintings in the world are there. We fought a huge crowd to get to see the Mona Lisa, but I don't think it was worth it. There were many other paintings and sculptures I liked better that were not so crowded, but at least I can say I saw it now. My favorite thing was the glass atrium gardens. There were two rooms with a huge glass ceiling. The inside of the gardens there were many sculptures. My favorite sculptures were the horses. Over the years the site of the museum has been many things but always a palace for kings. I thought today was a cool day because I got to see great art and see a giant palace.